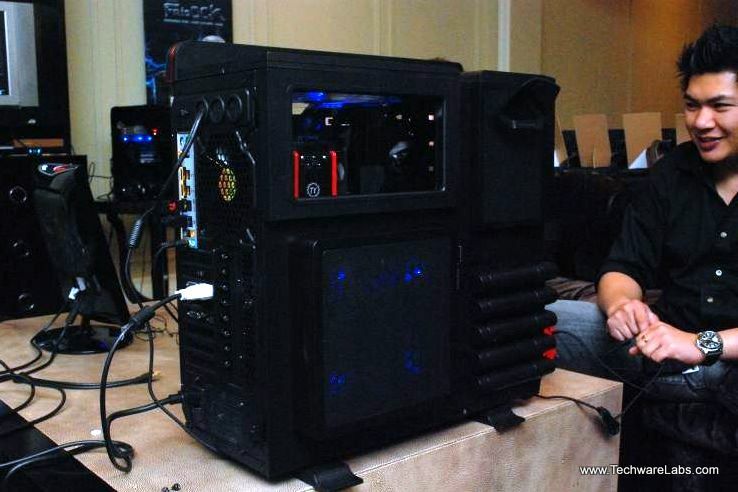 At CES 2011 we were invited to Thermaltake’s private suite for a close up look of their new product line. 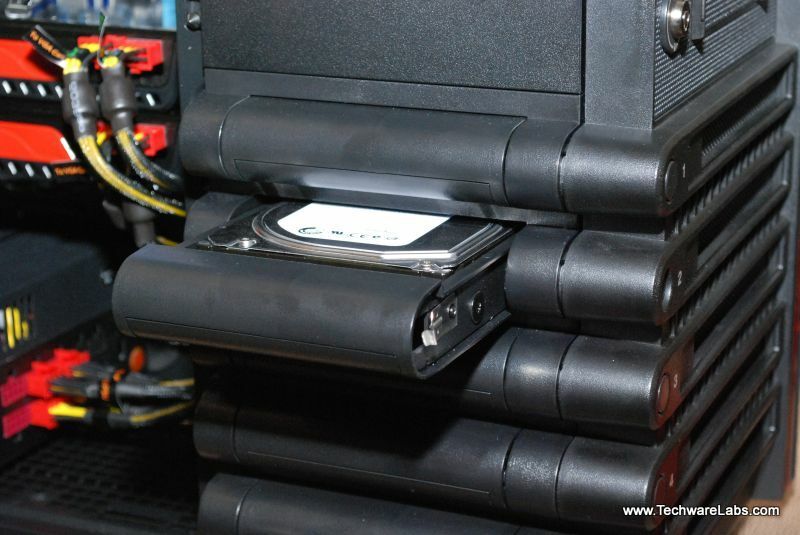 First, we will take a look at Thermaltake’s latest additions to their storage solutions. The BlacX 5G is not only a USB 3.0 super-speed dock but is also SATA III compliant. The MAX 5 and MAX 5G are both 3.5 actively cooled enclosures; with the 5G supporting Both SATA III and USB 3.0 connectivity. 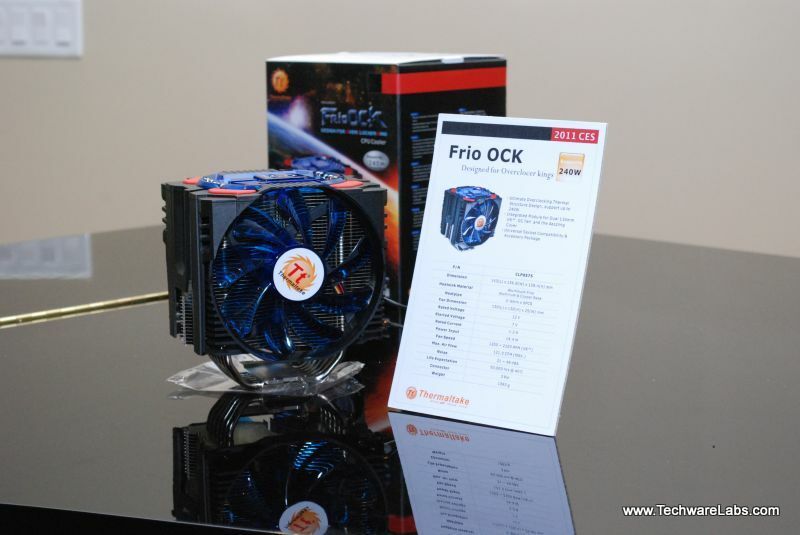 Thermaltake added a new member to the award winning Frio family the OCK. 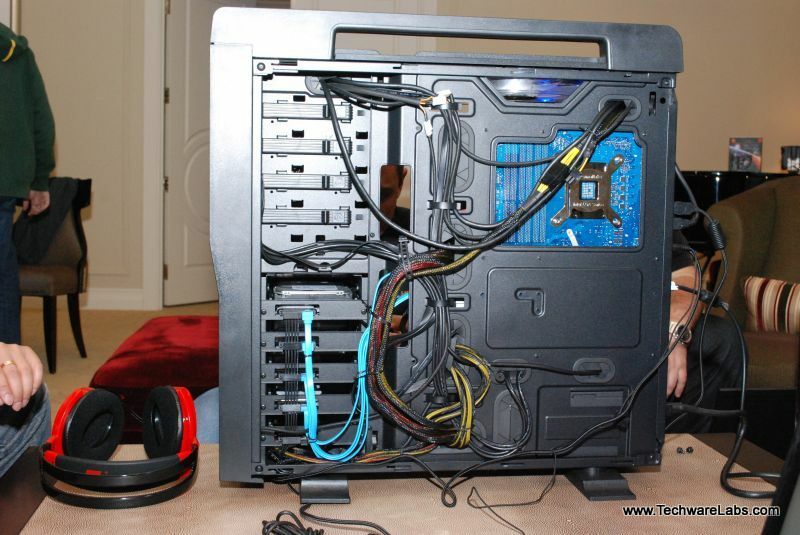 In addition to the aesthetic changes that were made to the design, this model supports higher processor wattage than before, and also has both fans with one speed controller and power plug for ease of use. These are the F2 ear buds from Luxa2 a division of Thermaltake specializing in luxury and design. These ear buds really caught our eye because they are magnetic, in the picture to the right you can see the two earpieces back to back, this is due to tiny magnets in each one that will prevent the cabling nightmare so many of us are familiar with. 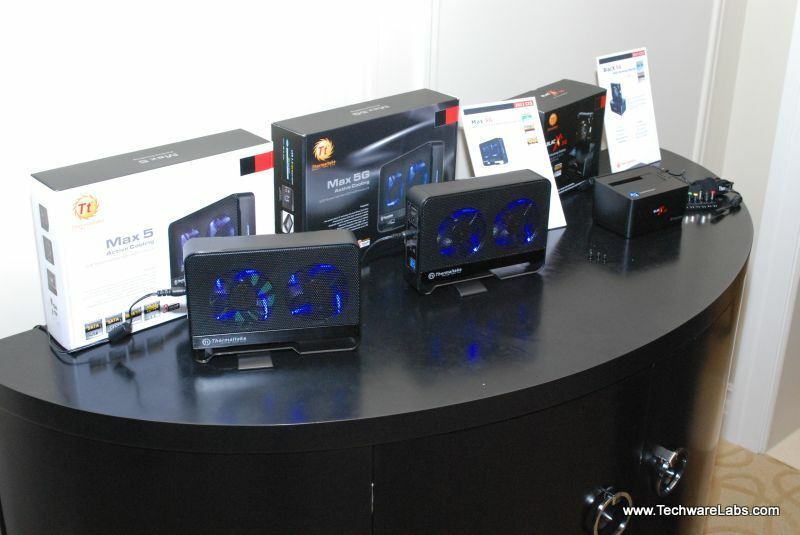 The Tt esports line is definitely the center piece of Thermaltake’s presentation this year. This line of products is directly aimed at the most demanding of enthusiasts. You can see some of the products below. These candid photos may not portray the impressive uniqueness of this new case. It was a case that everyone who entered the room was drooling over after looking closer at what it has to offer. 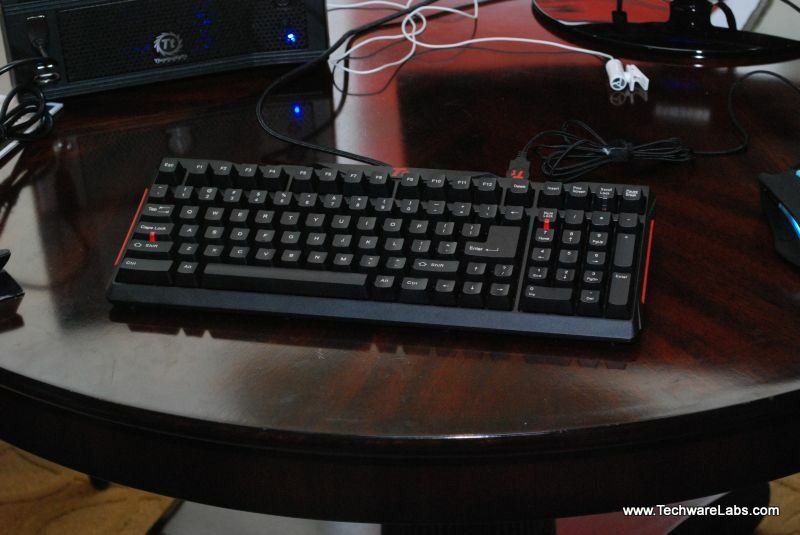 The keyboard pictured hear is fully mechanical and is rated for 50 Million Key strokes, the mouse has a twin eye 6500 DPI engine, and the headset is dolby 5.1. 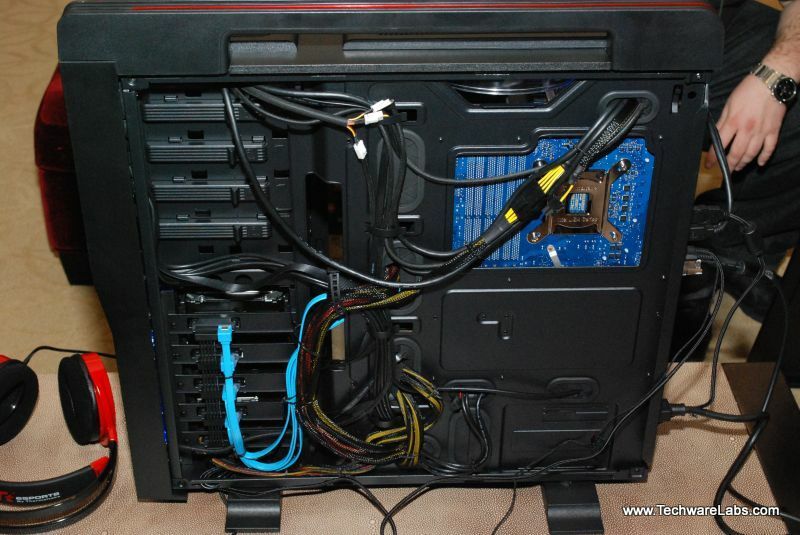 We have already tested and certified some of these components as Awesome. 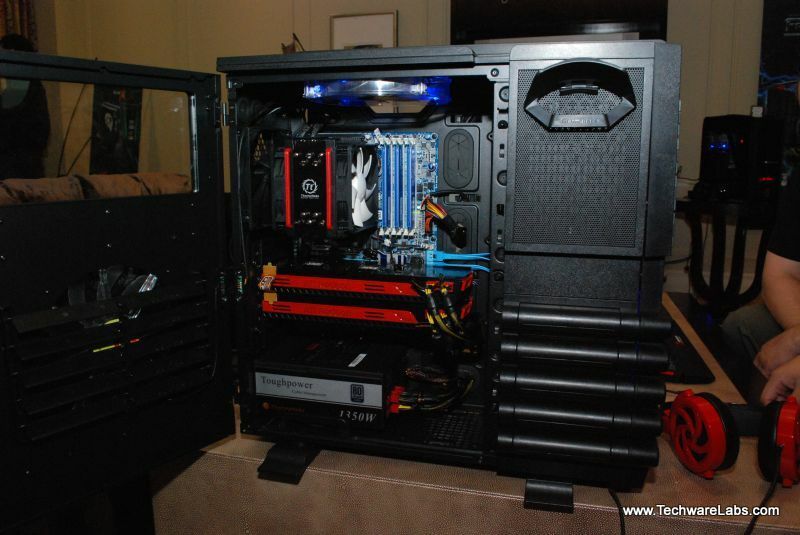 We got a chance to look at things to come from Thermaltake with the case in the center of the room. Take a few minutes to drool over some of the pictures we snapped. While these are very impressive, keep in mind that they do no justice to the real thing. 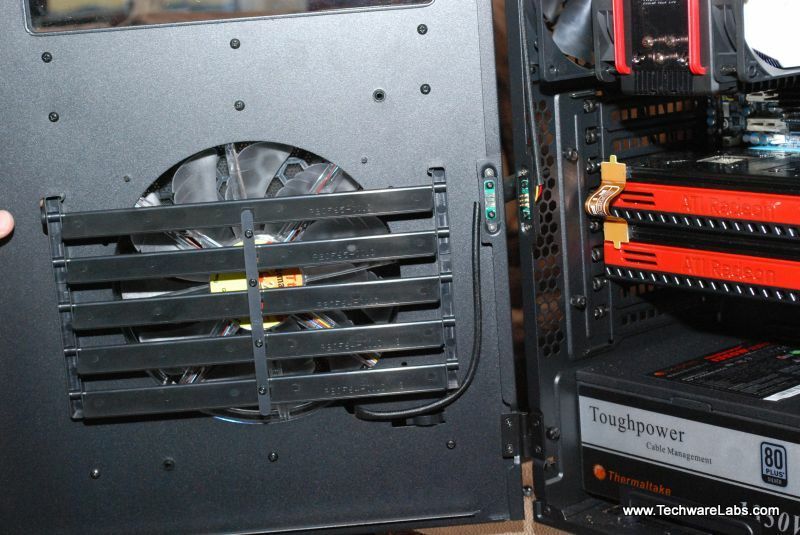 With teasers like this and great product like the ones above, its not hard to see why Thermaltake is the industry leader they are . This is going to be a good year to be a gamer. 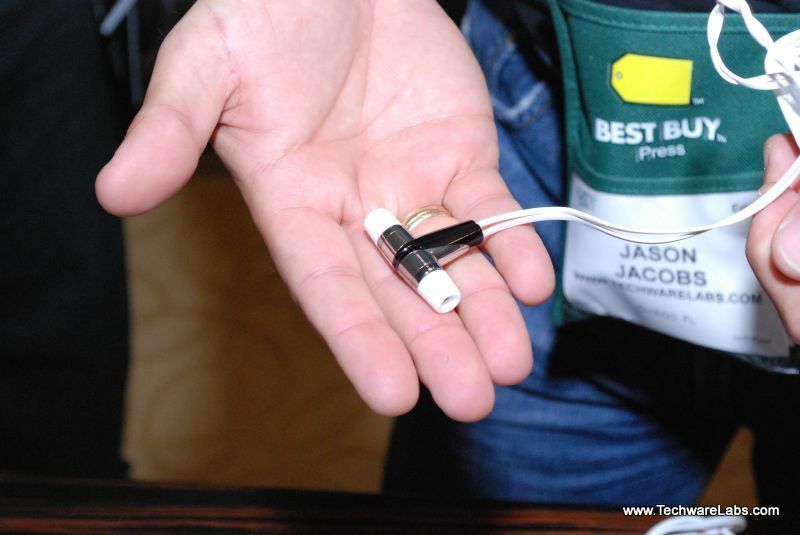 Look for these products to be reviewed by TechwareLabs.com in 2011! !